Meridian Meats’ Pork, Lime and Chilli, and Pork, Pear and Stilton varieties came out on top at this year’s Discovering Britain’s Greatest Sausages competition. The two successful sausages saw off opposition from 300 different entries, and will now make their way to the regional finals in Nottingham on November 5 – where one winner be awarded a prestigious place among the top five in the country. Jim Sutcliffe of Meridian Meats, who said he was delighted with the result, explained what he thought impressed the judges. He said: “It is absolutely fantastic. This is what we work all the time for. We are passionate here about what we produce, and to have that recognised by somebody else, particularly when it is from industry experts – it’s great. “I think they are both a bit unusual. “The Lime & Chilli is really good because it has got that kick of lime and then you get the warmth of chilli coming through. He was also pleased that the team’s recent decision to make all their sausages gluten-free had paid off. “It is getting more and more popular. We were in the shop talking to more customers who were asking for gluten free. “It was very difficult to find gluten free rusk at first, but we found a really good quality one, did some trials and they went down really well. 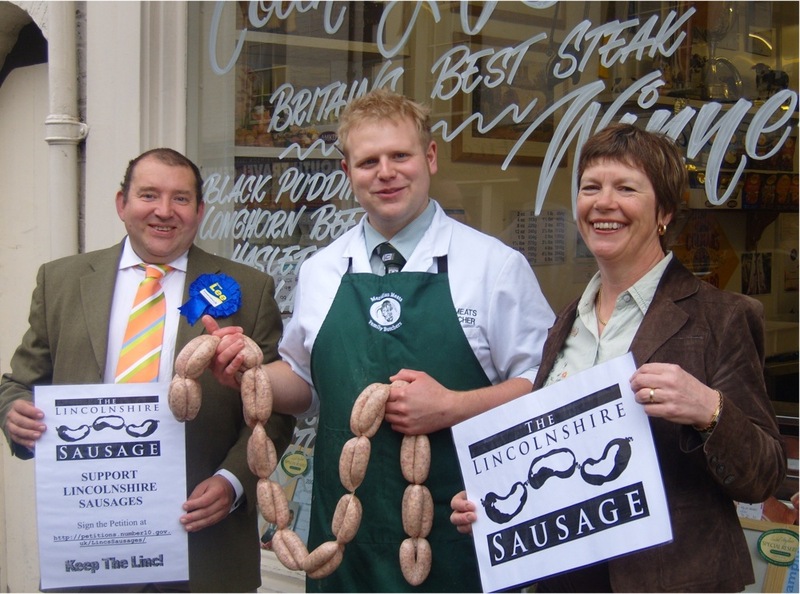 In fact, Jim is no stranger to sausage stardom – having won BBC Young Butcher of the Year in 2009. He said the secret to his continued success could be found close to home: “I think the secret is to never compromise – if you want to produce quality products you have to buy quality ingredients. “All our ingredients come from within a 30-mile radius of the shop. To celebrate, Meridian Meats will be offering sausage samples on Wednesday November 6. At 10am on November 8, local councillor, Jill Makinson-Sanders, will officially launch the gluten free sausages at their shop on Eastgate.